Welcome to Sri Lanka ! A 3,000 years old island country located in proximity to South India in South Asia, Sri Lanka also has another popular name Ceylon. A Republic by its system of governance and a home to many religions, ethnic groups and languages Sri Lanka is a tourist’s paradise. A country blessed with rich Buddhist heritage has an array of endless scenic beaches, courteous people, fun trains, famous and delicious sea food. What makes Sri Lanka distinct from others in terms of tourism attraction is having so many UNESCO World Heritage site in a small island country with additional Wild Life Safari tours, where on a journey to pleasing national parks you may have an encounter with beast as leopard, rhino, species of birds and others. With rainforest, beaches and hills all so close and in proximity to each other Sri Lanka is a trekker’s favourite destination. What makes Sri Lanka special with a tourist perspective is easiness offered by the country in respect of affordability, lesser distance and crowd. An alluring country Sri Lanka yet has to be discovered a lot and more. The Sri Lankan island is a part of Indian Plate, a major tectonic plate which was earlier attached to Indo- Australian Plate. Located in Indian Ocean southwest of the Bay of Bengal Sri Lanka exists between the latitudes 5 degree and 10 degree, longitudes 79 degree and 82 degree. It is separated from Indian subcontinent by the Gulf of Mannar and Palk Strait. The surface of Sri Lankan Island is mostly consisted as flat to rolling coastal plains with mountains situated only at south-central part. The highest point of Sri Lanka is Pidurutalagala that is about 2,524 meters high above sea level. Among the 103 rivers in country, the longest river is Mahaweli River, 335 kilometers long. These rivers pass through many waterfalls and one of them is Bambarakanda falls that is about 863 feet high. Sri Lanka's coastline is 1,585 km long that creates an extended Exclusive Economic Zone (EEZ) extending 200 nautical miles has developed into highly productive marine ecosystems consisted of shallow beds of coastal and estuarine sea grasses. Sri Lanka has 45 estuaries and 40 lagoons. 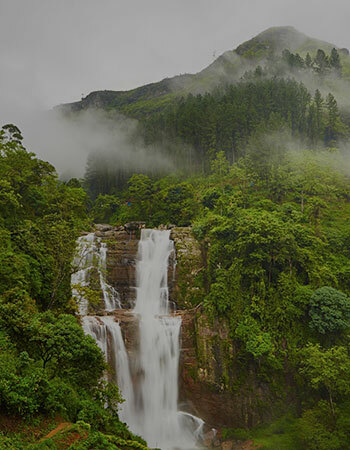 Though much smaller in size as compared to its neighbour, India, Sri Lanka has a diverse topography and landscape (other than snow blanketed peaks). A major portion of the population is formed by the Sinhalese (around 74%) who occupy southern, western and central region. Other than the Sinhalese, the other groups include the Tamils (further subdivided into Sri Lankan and Indian Tamils), Moors (again divided into Sri Lankan, Indian and Malay) and Burghers. Contrary to popular perception, the people of Sri Lanka are educated (a staggering 92% literacy rate as per 2003 estimate) and they prefer nuclear families. Caste system is widely prevalent in the lives of people especially in marriages where same caste match is stressed upon. Husband and wife have well defined roles to play in the social system with wife being responsible for looking after the household chores and husband for earning a living for the family. A vast portion of the people depend upon agriculture for their subsistence (especially in rural areas), though other occupations are also fast gaining prominence (especially in urban areas). The urban people are adopting western culture Buddhism in Sri Lanka much faster than their rural brethrens. Many women in the urban areas are also opting for a career. The culture of the country has developed over the years and is a rich blend of all the influences that the country and its people have been exposed to so far. 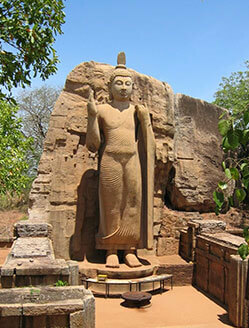 However, the most visible impact on the Sri Lankan culture has been from Buddhism. People mainly follow the Buddhism with numerous Buddhist stupas spread throughout the country and several festivals being celebrated on important events in and around Buddha's life. The festivals of the country are also a reflection of the great culture of this small country. 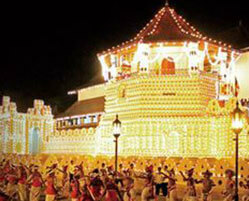 Particularly famous is the Kandy Esala Perahera celebrated in the month of July or August. This festival is a spectacular ten days event culminating in a procession taken out in respect of the sacred Tooth Relic of Buddha. Another festival that strengthens the impact of Buddhism in the country is Duruthu Perahera held in January. 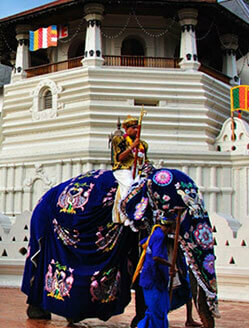 The festival is a celebration of Lord Buddha's visit to the country. The dance forms of Sri Lanka has been heavily influenced by Indian dances though much Food Sri Lanka emphasis is laid on symbolism to convey the message in dance. Modern dance form often combines the traditional dance with the western dance style to produce a magical effect. Similarly music of the country has also been influenced by both traditional and western music. The cuisine of the country speaks much about the culture of the people. Spices are frequently used to enhance the taste of the food. 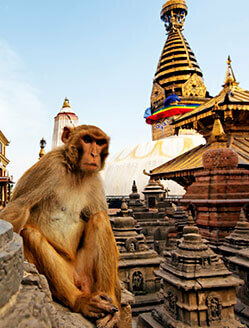 A tourist on a visit to this country will come across a variety that is typical of the Indian subcontinent region. The people and their lifestyle are distinctly different from one region to other; however the basic culture remains throughout the country. Sri Lanka is, in brief, a place that will be best understood when experienced. There is a written text to Sri Lankan history in form of Mahawansha that is about 3,550 years old. Another mention of Sir Lanka is in several ancient mythological texts and one of them is Ramayana where the island is referred as Lanka where King Ravana kept Lord Rama’s wife goddess Sita in captivation after her abduction. However, the first instances of civilization have been traced back to arrival of Sinhalese in Sri Lanka in the 6th century BC probably from northern India. 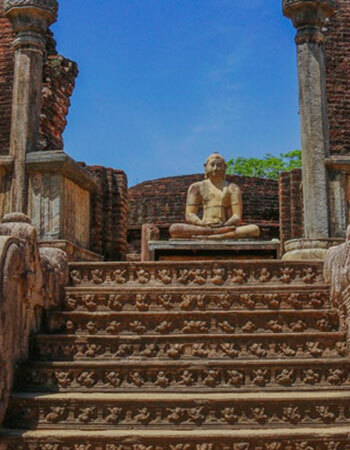 The country came under the influence of Buddhism as earliest as mid 3rd century BC and led to the establishment of civilization as Anuradhapura and Polonaruwa. 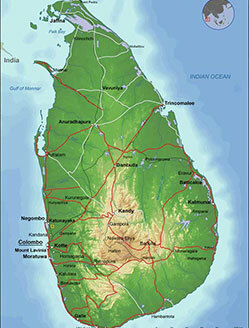 Some other notable and important kingdoms of Sri Lanka are Dambadeniya, Yapahuwa, Gampola, Kandy and Jaffna Kingdoms. The Modern Phase of Sri Lankan History begins with its occupation by Portuguese in the 16th century and by the Dutch in the 17th century, the island handed over to British in 1796 and became its colony in 1802. It became free from British dominion in 1948 and the name changed from Ceylon to Sri Lanka in 1972. With regional diversity culture wise and many ethnic groups living in the country, the culture of Sri Lanka has developed into an admixture of traditional as well as conventional values. 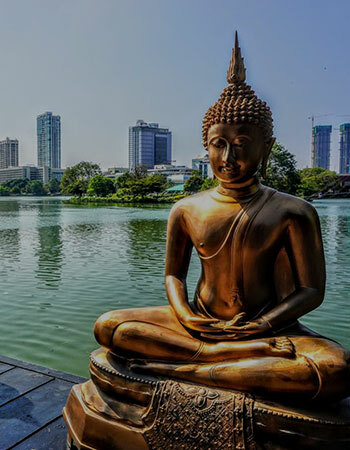 Under the influence of Buddhism since 3 century BC the culture of Sri Lanka is immensely influenced by heritage of Theravada Buddhism inherited from India. 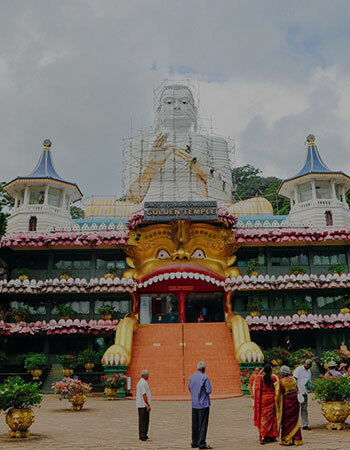 The Buddhist influence is seen clearly at Sri Lankan’s southern and central region whereas the northern part is far more influenced by South Indian Cultural influences. The colonial subjugation of Sri Lanka by Portuguese, Dutch and British has also left their impression on Sri Lanka. The history of colonial occupation has also left a mark on Sri Lanka's identity, with Portuguese, Dutch, and British elements having intermingled with various traditional facets of Sri Lankan culture. 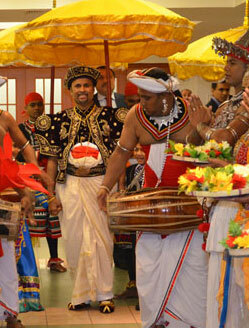 The culture of Sri Lanka is highly blended towards aestheticism and artistic cult and rituals. The Sri Lankan culture is internationally acclaimed for variety in cuisines, holistic medicine system, and religious iconography as Buddhist flag. 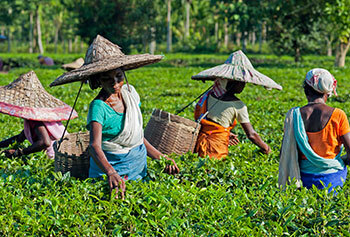 Other important attraction from Sri Lanka is its tea tradition, cinnamon, gemstones and immensely active tourism sector. A country with a good number of ethnic groups and religions living together, Sri Lanka celebrates festivals under its multicultural ethnic identity. The Buddhist and Sri Lankan New Year are celebrated there in the month of April. 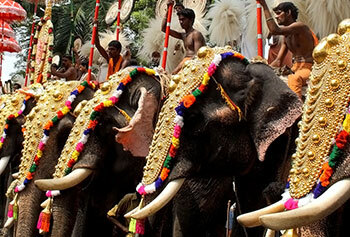 A very opulent Buddhist festival Esala is celebrated with dance and richly decorated elephants in the month of August. Christmas is celebrated with much fun and fair every year. Popular Tamil festivals here are Thai Pongal, Maha Shivaratri, Muslims celebrates Hajj & Ramadan. 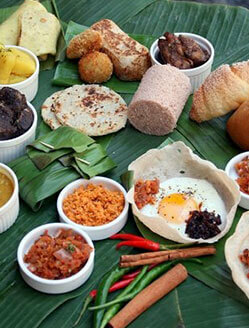 Sri Lanka and South Indian food has many similarities as many restaurants in Sri Lanka tell their food to be Indian. The staple food of Sri Lanka is Rice and Curry. Other dishes include pittu, Kiribath, Wholemeal Roti, String hoppers, Wattalapam a pudding, kottu and hoppers. There a good number of variations in food is found as Burgher community preserving their culture through traditional dishes such as Lamprais (rice cooked in stock and baked in a banana leaf), Breudher (Dutch Holiday Biscuit), and Bolo Fiado (Portuguese-style layer cake). There are many upscale restaurants in the mega cities of Sri Lanka. These establishments are found largely in western Colombo (along Galle Road), though more are located around Colombo and other major cities. Fast-food outlets like KFC, Pizza Hut, etc. can be found in major cities. Among the shopping items in Sri Lanka as a souvenir you can opt from a good range of Handicrafts made from reed, cane, cotton, paper, leather, wood, clay, metal, and gemstones. The prepared items made from above mentioned raw materials generally happens to be batiks, toys, curios and jewellery and many more. The country phone code for Sri Lanka is 94. GSM/3G/HSPA/4G LTE cellphones are quite widespread and have a good coverage area in Sri Lanka. Dialog, Mobitel, Etisalat and Airtel are four main mobile service providers in Sri Lanka and even has sales offices at the airport inside the arrivals lounge. Dialog Mobile (Market Leader) has the widest coverage in the Sri Lanka and has a quite impressive reach even in rural areas. All Mobile service providers offer cheap IDD Call rates. You even can collect FREE SIM from the Immigration Counters at the Bandaranaika International Airport. For using internet in Sri Lanka one must use HSPA dongle and a Mobile Broadband connection. Dialog Mobile, Mobitel and Airtel offers prepaid Mobile Broadband services which can be used promptly in Sri Lanka. Internet access is also provided with 4G LTE networks including Dialog(Mobile),Mobitel on FD-LTE 1800 MHz band 3 and Dialog(Fixed),SLT,Lanka Bell on TD-LTE 2300 MHz band 40. Internet cafes can be found easily around all the important cities and tourist centres in Sri Lanka. While visiting Sri Lanka, Vaccination is recommended against for Hepatitis A+B, Tetanus and Japanese encephalitis. To avoid Dengue fever use mosquito repellent. All the common measures should be taken to safeguard one from Malaria. However, snake bite is very rare among tourists yet bitten immediate medical care should be taken. The National Emergency Number is 119 and emergency ambulance number is 110. Travellers must avoid drinking from the tap and stick only with both drinking and teeth brushing. 230V, 50Hz British G type plug most common + fewer (older) installations of D (round pin plug used in India). The primary currency of Sri Lanka is Sri Lankan rupees. Other than Rs. Symbol for Sri Lankan rupees the international symbol for Sri Lankan currency is LKR. Notes in LKR in denomination from LKR10-5000 are commonly used in Sri Lanka. Tipping is not compulsory, however, is understood being as a humane to offer 5 -10% of the service as a token of appreciation to low wage earning serving persons as porters, drivers, restaurant and other staff. Sinhalese is the major language of the Sri Lanka spoken by the majority Sinhalese class. Other major language Tamil is used by minority group Tamil and Muslims. English is frequently used by the population of all the big cities in Sri Lanka including Colombo, Kandy and Galle and is widely accepted language for government and tourism officials. 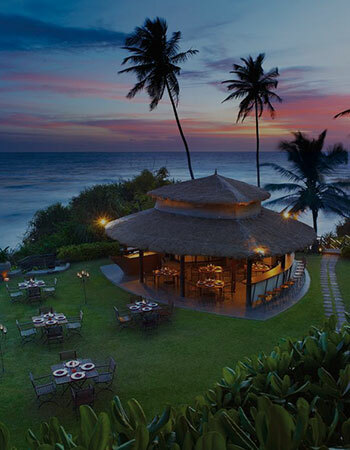 A tropical climatic island with an extensive coastline makes Sri Lanka the year around destination for tourists. Despite being two monsoon seasons, however, impacting rainfall at other sides of the country at the opposite time of the year makes the country a good tourist destination with sunshine and good beach weather throughout the year. Online visa should be applied by citizens of all countries except Singapore and Maldives before entering. This "Tourist ETA visa" is valid for 3 months, starting from the day it has been approved. The visa is double entry which means you can enter the country twice during the three months' time. 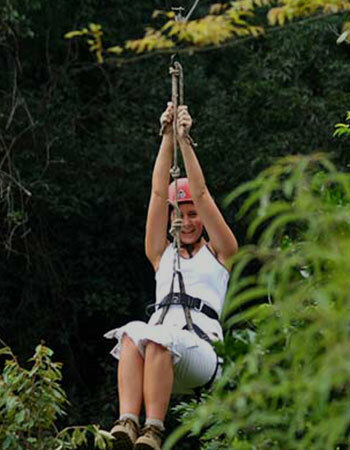 In each entry, your maximum length of stay is 30 days. 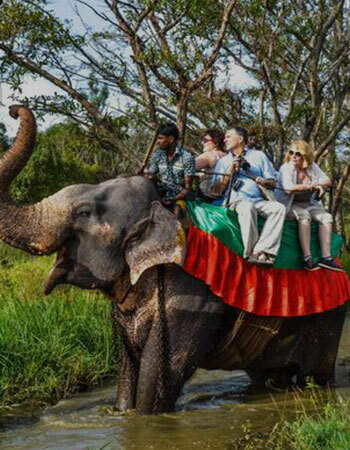 A visitor wishing to stay more than 30 days in Sri Lanka may apply for an extension. The short visit visa may be extended up to 90 days from the date of arrival at the first instance and further 90 days at the second instance. Note that even with ETA visa, you still need to fill the Immigration Form which asks the very same questions again. SriLankan Airlines is the national flight operator that runs flight from Colombo-Bandaranayake International Airport (IATA: CMB). Flights from the cities as Europe, Southeast Asia, China, Japan, Middle East, India, and Pakistan fly to plains to the international airports. SriLankan Air also operates flight to the close by destinations as Chennai, Trivandrum, Mumbai, Delhi, Cochin, Bangalore and the Maldives. For travelling within Sri Lanka, three-wheeler (Tri Shaw) locally known as Tuk –Tuk are popular mode of transport. Rented cars happen to be cheaper than three-wheelers and used mostly by hotels. 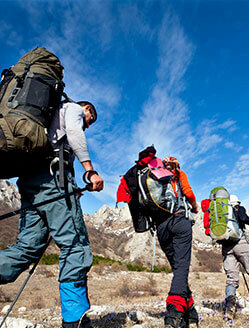 For budget touring one can opt for buses and trains. Sri Lanka has an extensive railway system connected to all the major town and cities. 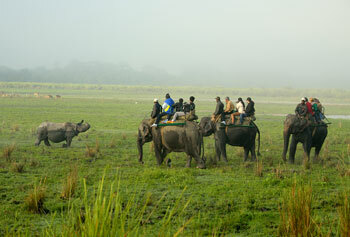 For tourist demand a special observation cars can be arranged for sightseeing. Being a tropical country, in Sri Lanka, you can expect rainfall at anytime of the year. However, two monsoon seasons falls in the country once at North-East monsoon (October to January) and South –West monsoon (May to July). The climate of the country changes from one place to another, however, the two important rainy seasons here are North – East monsoon (October to January) and South West Monsoon (May to July). The average temperature of the country throughout the year remains around 30-35 °C. 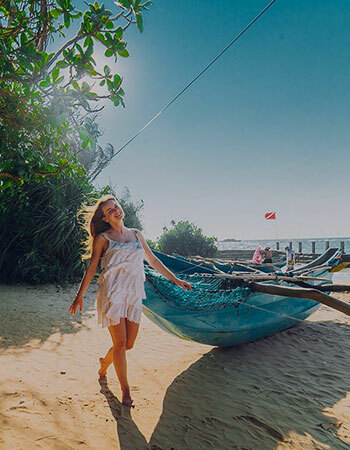 As a tourist, you have a very good number of accommodation options available in Sri Lanka from conventional beach hotels you can opt for villas, boutique hotels and small independent properties offering a huge array of services. In Colombo Fort YMCA is a good place to stay and live. 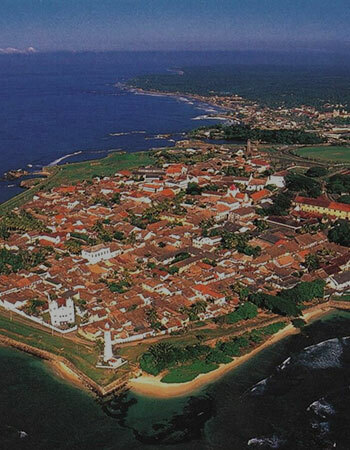 The Fort, Cinnamon Gardens, Dehiwala Zoo, Temples, Galle Face Green, Churches, Mosques, Museums. Temple of Tooth (Sri Dalada Maligawa), The Lake, Royal Botanical Gardens, Malwatta and Asgiriya monasteries. 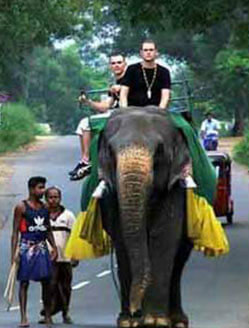 Elephant Orphanage Sigiriya - Citadel of Sri Lanka, Dambulla cave temple, churches and parks. Beaches and harbours, Fort Frederick, Wellington House, the Tirukoneswaram Temple. Pinnawela Elephant Orphanage, Yala National Park and Star Fort.